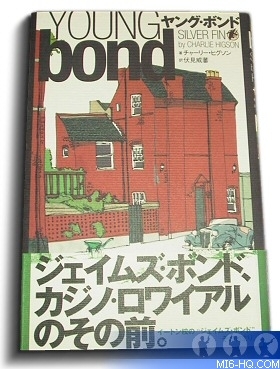 Although the original English-language editions of the Young Bond novels by author Charlie Higson have been available for some time in Japan, this month saw the launch of a specially translated edition in the country. The first novel, SilverFin, has just been published in Japanese with all new cover artwork. It is available to order now from Amazon Japan. "The start of James Bond at the Eton school. Being the tough, cool, gentleman... a prototype of the world's strongest spy." "James Bond started at Eton when the automobile and streetcar were still unusual. James Bond is known everywhere as 007, but here, no one knows this child." "Being the normal child but experiencing thrill and adventure. Young Bond is the #1 series in Europe for 13 year-olds." 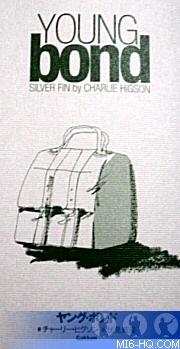 Above: The new Japanese edition of SilverFin complete with collectors green slip case which is not displayed at online retailers. 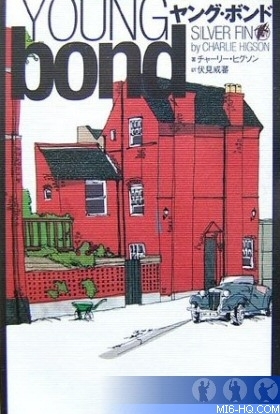 Above Left: The cover jacket artwork for the Japanese edition, showing Young Bond's residence and the car. 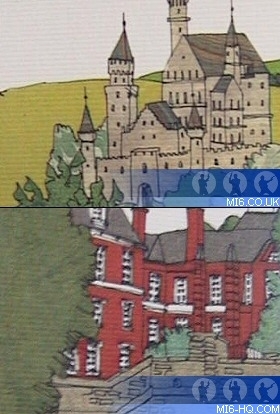 Above Right: Artwork from the translated publication.